(Xenia, OH - May 19, 2017) - CQ magazine today announced the induction of two new members to the CQ DX Hall of Fame, which honors those DXers who not only excel in personal performance but who also "give back" to the hobby in outstanding ways. CQ DX Editor Bob Schenck, N2OO, presented Hall of Fame plaques at an induction ceremony held at the annual Dayton DX dinner on May 19. Bill Moore, NC1L (SK) - the ARRL's DXCC Manager for over 20 years. A public face of the program at hamfests around the world, Bill was also a major contributor behind the scenes, leading the transition from DXCC paper records to a computer database, then years later, guiding a major upgrade to the system that is in use today. Bill was severely injured in an auto accident in 2014 and became a Silent Key last year. Jerry Rosalius, WB9Z - an accomplished DXer and DXpeditioner, he has "worked them all" with the exception of North Korea, and participated in multiple major DXpeditions, including seven that were named as "DXpedition of the Year" by the Southwest Ohio DX Association. He is a frequent speaker at club meetings and hamfests and regularly makes his home station available for training new contesters. The CQ DX Hall of Fame was established in 1967 to recognize those amateurs who have made major contributions to DXing and DXpeditioning. This year's inductions bring the total number of members of the CQ DX Hall of Fame to 71. (Xenia, OH - May 20, 2017) - CQ magazine today announced the induction of two new members to the CQ Contest Hall of Fame, which honors those contesters who not only excel in personal performance but who also "give back" to the hobby in outstanding ways. CQ Contesting Editor David Siddall, K3ZJ, presented Hall of Fame plaques at an induction ceremony held at the annual Dayton contest dinner on May 20. Dave Robbins, K1TTT, is the builder and owner of a contest superstation in western Massachusetts. Soon after assembling his first contest station, Dave wrote in the introduction to his book, Building a Superstation, "I realized I was not a 48-hour iron pants operator and decided to start doing multi-ops from here..." Over the past 30+ years, Dave has hosted legions of operators at his multi-multi station, some veterans, some newcomers, and willingly shared his knowledge and experiences, both in his building book and his annual Contest Cookbooks, distributed to members of the Yankee Clipper Contest Club (YCCC), of which Dave is a past president. You can see webcams of his current station and much more information at <www.k1ttt.net>. Bob Wilson, N6TV, is an accomplished contester and contest DXpeditioner, but his achievements behind the scenes are as significant as those he's made on the air. A regular speaker at Contest University and the International DX Convention's Contest Academy, Bob has developed new techniques and technologies to enhance logging and score-keeping software and to advance SO2R (Single Operator, 2 Radios) operating, along with the efficiency of software defined radios, CW Skimmer, the Reverse Beacon Network and more. The CQ Contest Hall of Fame was established in 1986 to recognize those amateurs who have made major contributions to the art of radio contesting. This year's inductions bring the total number of members of the CQ Contest Hall of Fame to 69. (Xenia, Ohio - May 19, 2017) - The CQ Amateur Radio Hall of Fame has 18 new members for 2017, CQ magazine announced today. This brings to 310 the total number of members inducted since the hall's establishment in 2001. The CQ Amateur Radio Hall of Fame honors those individuals, whether licensed hams or not, who have made significant contributions to amateur radio; and those amateurs who have made significant contributions either to amateur radio, to their professional careers or to some other aspect of life on our planet. John Brosnahan, W0UN (SK) - President of Alpha Power, NOAA physicist and instrumental in design and construction of the HAARP facility in Alaska. Two new members each are also being inducted into the CQ DX and Contest Halls of Fame at the respective Dayton DX and Contest dinners. Their names will be announced separately. ARRL General Counsel Chris Imlay, W3KD, told the League's Executive Committee in March that he feels the FCC may provide more effective enforcement on the ham bands in the future. Imlay said the Commission's new chairman, Ajit Pai, is very interested in improved enforcement and that Michael Carowitz, the new Chief of the Enforcement Bureau, is said to be "amateur friendly." According to the ARRL Letter, Imlay told the committee he "foresees a potential window of opportunity for improved spectrum enforcement work, as well as the opportunity to build a stronger working relationship with the FCC on all issues." In a related matter, the Letter reports that the ARRL has begun working on final language of a revised memorandum of understanding with the FCC on its Amateur Auxiliary program, which incorporates the ARRL's Official Observer program. A board committee is in the process of developing recommendations for the full board on revamping and revitalizing the OO/AA program. Speaking of enforcement, the FCC has proposed fining a 20-year-old New York City man more than $400,000 for repeatedly making unauthorized transmissions and false alarm calls on city police frequencies. The ARRL Letter reports that the Commission issued a Notice of Apparent Liability (NAL) to Jay Peralta of Queens, New York, alleging that over the course of a year, he transmitted false bomb threats, false distress calls supposedly from NYPD officers, false claims of crimes involving firearms and threats against specific police officers. 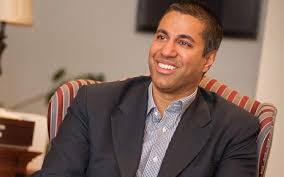 The proposed fine was announced personally by FCC Chairman Ajit Pai, saying the action shows the FCC "will not tolerate unauthorized and illegal use of the radio spectrum." Peralta and two other men had been arrested last fall in connection with several robberies, although it is unclear if those cases are connected with the radio interference case. The ARRL reports that response to its survey on potential changes to entry-level licensing were overwhelming, with some 8000 responses received rather than the 1500 it expected, according to the ARRL Letter. Last year, the League's board of directors created a committee to study possible changes to entice more people into amateur radio, with a focus on either revamping the Technician license or recommending creation of a new entry-level license. Committee Chairman and ARRL New England Division Director Tom Frenaye, K1KI, said he originally thought a new license class might be the best approach but is now leaning toward re-examining both the privileges and the exam requirements for the Technician license. He is tentatively looking toward expanded HF digital privileges for Techs, along with aligning the exam questions with the operating privileges offered by the license. The committee plans to make its recommendations to the full ARRL board at its next meeting in July. The ARRL has deleted two Pacific islands from its list of "DX entities" that count toward the DXCC award and others that are based on the DXCC list. According to the ARRL, the decision is an unintended consequence of last year's expansion of the Papahānaumokuākea Marine National Monument to include the northwestern Hawaiian islands west of Ni'ihau, including Midway. That portion of the monument is now administered by the State of Hawaii. Until this change in status, Midway had separate administration – making it eligible for DXCC status – and Kure, previously under Hawaiian administration, was separated from the rest of the state by Midway, giving it separate DXCC status. With Midway now under Hawaiian administration, it no longer qualifies as a distinct entity, and Kure is no longer separated from the rest of Hawaii by a different DX entity. Both islands now count as part of Hawaii, with the change retroactive to August 26, 2016, the date the changes in governance took effect. Both islands are accessible only by permission. The U.S. Fish and Wildlife Service (FWS) is asking for public review and comment on a "Draft Compatibility Determination for Amateur Radio Operation" on Baker Island (KH4), a Pacific island some 1800 miles southwest of Honolulu. According to the ARRL Letter, "(a)mateur radio operation is an existing use at Baker Island NWR (National Wildlife Refuge); however, it is not a common use." The statement notes that operations there offer value "as a source of public information about wildlife resources and to bring public attention to the refuge." Baker Island is the fourth-most-wanted DX entity, according to ClubLog. The most recent operation there, in 2002, generated 96,000 contacts. Comments should be submitted via e-mail to Monument Superintendent Laura Beauregard and include "Baker Amateur Radio Comments" in the subject line. Beauregard's e-mail address is <laura_beauregard@fws.gov>. of Sparrow Reef (circled) on this CIA World Factbook map. A DXpedition to the hotly-contested Spratly Islands planned this December has been postponed until next March. The ARRL Letter's report did not include a reason for the delay in the planned 9M0W operation from Layang Layang Island, a part of Swallow Reef (IOTA AS-051). The Malaysian Navy has a presence on the reef (and Malaysia issued the license), but the Spratlys are at the center of South China Sea conflicts between Malaysia, China, Taiwan and Vietnam, all of which claim ownership. 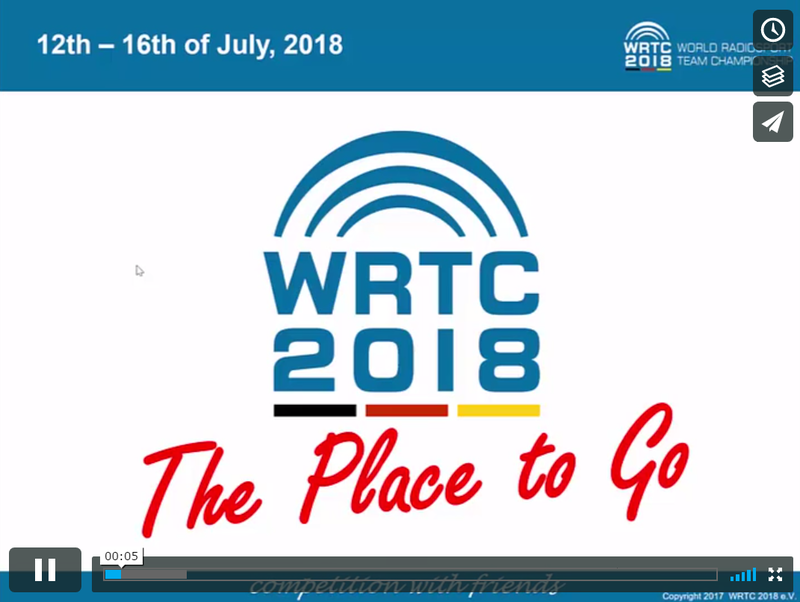 Organizers of the 2018 World Radiosport Team Championship (WRTC) are planning to include three teams of young contesters (under age 26 at the time of the competition) among the 42 teams that will compete for bragging rights in Germany next July. According to the ARRL Letter, there are no qualifying requirements for the youth teams; prospective members need only to apply to be considered. Applications for WRTC referees are also being accepted at this time. For more information, e-mail <contact@wrtc2018.de>. The arrival of a new 2-meter handheld transceiver at the International Space Station has allowed theresumption of packet radio digipeater operation on 145.825 MHz. The ARRL Letter reports that the packet station had moved to 70 centimeters after the very old Ericsson VHF handheld failed. Amateur Radio on the International Space Station (ARISS) voice contacts with schools were moved from the U.S. Columbus module to a Kenwood transceiver in the Russian Service Module. Installation of the new 2-meter HT has allowed digipeater operation to resume on VHF. It is unclear whether ARISS voice contacts have also moved back to the Columbus module. On the subject of the ISS, current expedition Commander Peggy Whitson, ex-KC5ZTD, recently set a new record for time in space by any American astronaut, breaking the 534-day cumulative record previously set by Astronaut Jeff Williams, KD5TVQ. On a previous ISS mission, Whitson conducted numerous ham radio contacts with school groups under the ARISS program, but subsequently let her amateur license lapse. The ARRL has made it clear that so-called "dueling CQs" on the same band by a single station are not permitted in its contests. Technically known as "in-band interleaved CQs," the practice involves calling CQ sequentially on two or more frequencies in the same band. There is never more than one signal from a given station on the band at the same time, but the practice effectively occupies multiple frequencies and violates the spirit if not the letter of the "one signal per band" rule. The ARRL Letter reports that the League decided to "clarify" its rules to specifically prohibit the practice, which is already against the rules in all CQ-sponsored contests. Will 4U1UN Return to the Air? The ARRL reports that representatives of the United Nations Staff Recreation Council Amateur Radio Club are negotiating with the world body's Department of Public Information in an effort to get amateur station 4U1UN permanently back on the air. The station operated from the U.N. Secretariat building from 1978 until 2010, when it was taken off the air to accommodate extensive building renovations. All antennas were removed from the roof and equipment was put into storage. 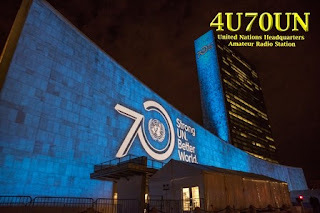 While the renovations have been completed, a combination of logistical issues and security concerns have stymied efforts to return the station to the air, except for a brief temporary operation in 2015 to mark the U.N.'s 70th anniversary. Several options are being considered to allow the station to resume operations while satisfying the administration's concerns. from the main accessibledigipan.org webpage. As a keyboard mode whose messages print out on a computer screen, hams with visual impairments have not been able to use PSK-31 and similar modes … until now. The ARRL Letter reports that a new app called "Accessible DigiPan" merges the popular digital mode software with the popular "JAWS" screen reader program. Two blind hams – Richard McDonald, KK6MRH, and Jim Snowbarger, WA0PSS – developed the app and are offering it for free to any amateur (although donations are encouraged). For more information or to download the app, visit <http://accessibledigipan.org/>. Two amateurs well-known in the VHF/UHF community became Silent Keys within days of each other in late March, the ARRL Letter reported. Don Hilliard, W0PW, was a founding member of the Central States VHF Society and of the Microwave Update conference. He developed the first ham gear for the 902-MHz band in the 1980s and designed a VHF Yagi antenna that is still popular today. Hilliard died on March 25 following a long illness. He was 81. Greg Jones, WD5IVD, was only 54 when he became a Silent Key on March 30. A professor at the University of North Texas, Jones served as president of TAPR – Tucson Amateur Packet Radio – from 1993 to 1999. Under his leadership, the organization expanded from its regional base to national leadership in packet radio during its period of peak popularity. The International Amateur Radio Union's Emergency Telecommunications Guide is now available in four languages, English, Spanish, Portuguese and Romanian. The 94-page guide, originally published only in English, is designed to provide materials for amateurs participating in emergency and public service activities as well as guidance for individual hams in improving their EmComm skills, according to Southgate Amateur Radio News. It is hoped that translators will step up to provide editions in additional languages as well. The English version of the guide may be downloaded at <http://bit.ly/2putdaR>; for the Spanish, Portuguese or Romanian versions, visit <http://bit.ly/2oQXrRg>.